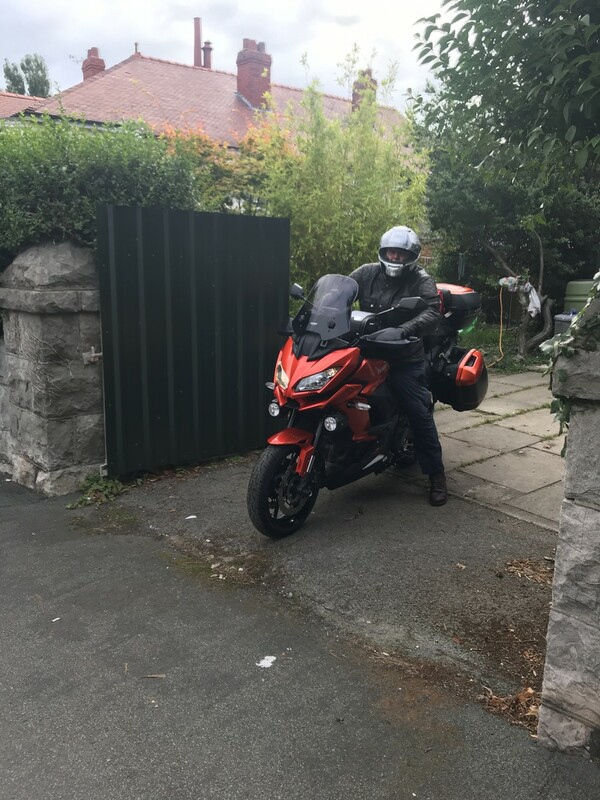 Sunday 2nd Sept - set off from home (North Wales) on a glorious sunny day to head for Folkestone, had an overnight stay with my niece and her family in Cookham, nr Maidenhead. Didn't touch a motorway at all and the countryside and roads I travelled on were great. Monday - Shuttle departure was just after lunchtime, so had to use M4 and M25 to get to Folkestone - bloody horrible journey. 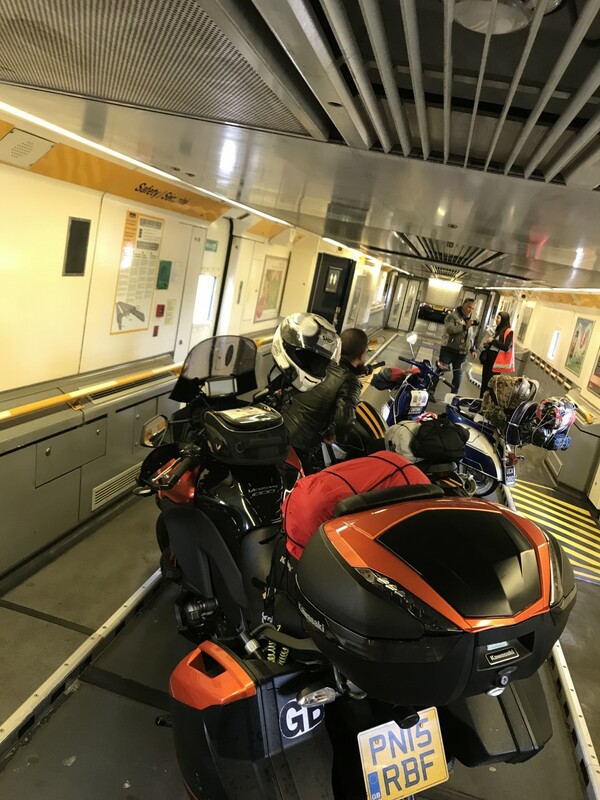 Only bikes on the shuttle were mine, a Ducati Scrambler and a classic scooter. 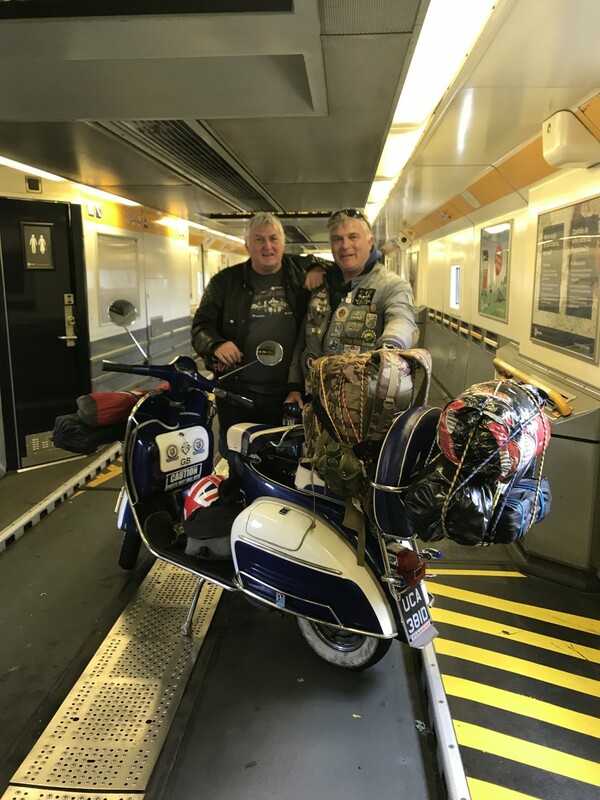 The guy on the scrambler was Italian and heading home, the bloke on the scooter was heading for Ypres - where I was heading for the following day. I had booked into a Formula 1 in Dunkirk for Monday night. 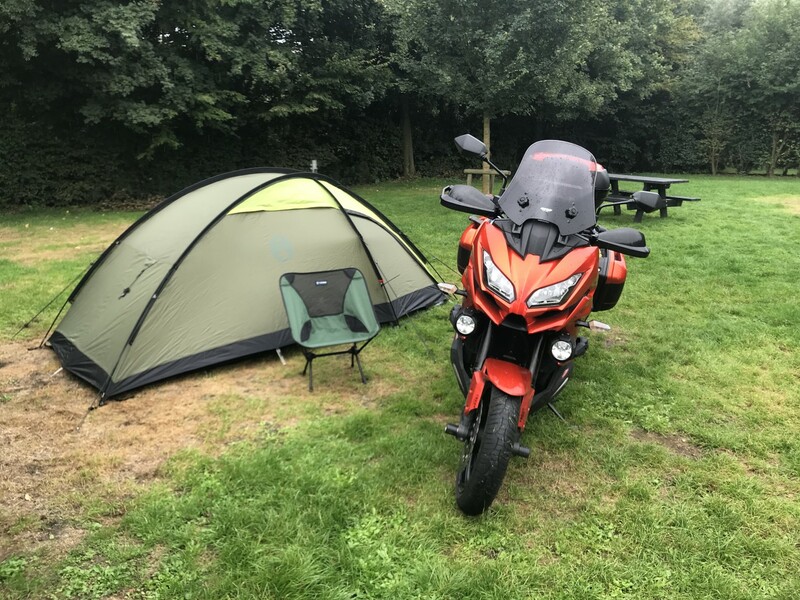 Weather improved and and the sun came out, so found a campsite, set up tent and it turned out I had set up at the side of the guy with the scooter. Ypres was fascinating especially the playing of the last post at the Menin Gate - quite emotional (am an ex squaddie). It was hard to believe that there wasn't a building over 100 years old. 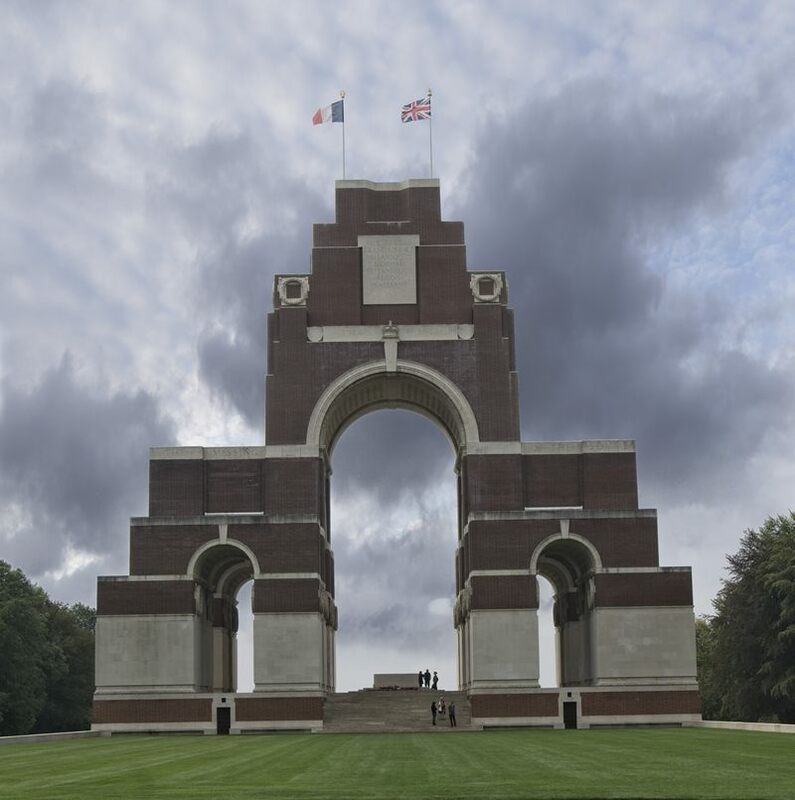 Wednesday - Made arrangements with Richard (the scooter guy) to visit the Somme Memorial. I was in no rush. HIs scooter had a 6 litre tank which gave him a range of about 60 miles so we needed a few stops for fuel. His uncles grave was a few miles from Thiepval so we visited that cemetery where he could pay his respects. 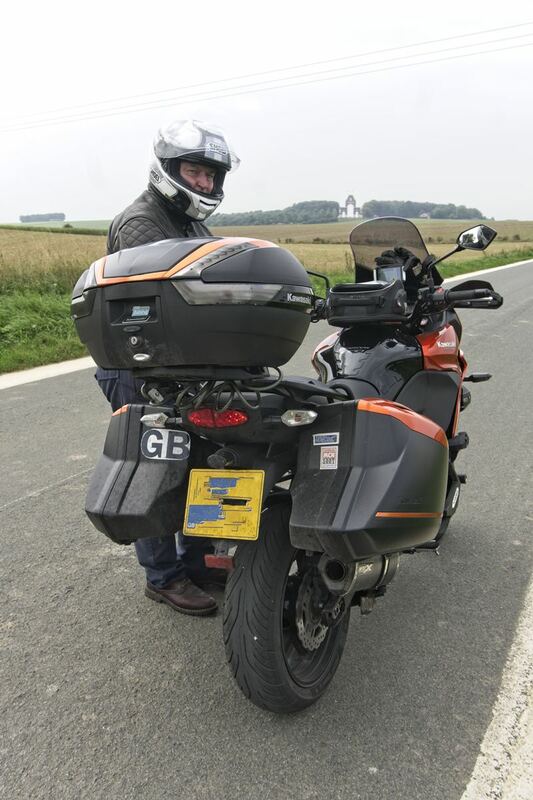 On the way back from Thiepval I was in front on the motorway when I saw him pull over onto the hard shoulder, So I pulled up and he eventually crawled up to me - his seat had broken and scooter was unrideable. The bolt holding the spring (suspension) under the seat had snapped and the spring had flown off. While we were stood wondering what to do, the spring caught up with us, passing cars had blown it forward to our position but it was still in the offside lane, fortunately a large gap appeared in the traffic and he retrieved the spring - apparently these springs are like hens teeth very rare. He had a spare bolt so repair done and back to Ypres. Thursday - I had a day off the bike and a great walk around Ypres. 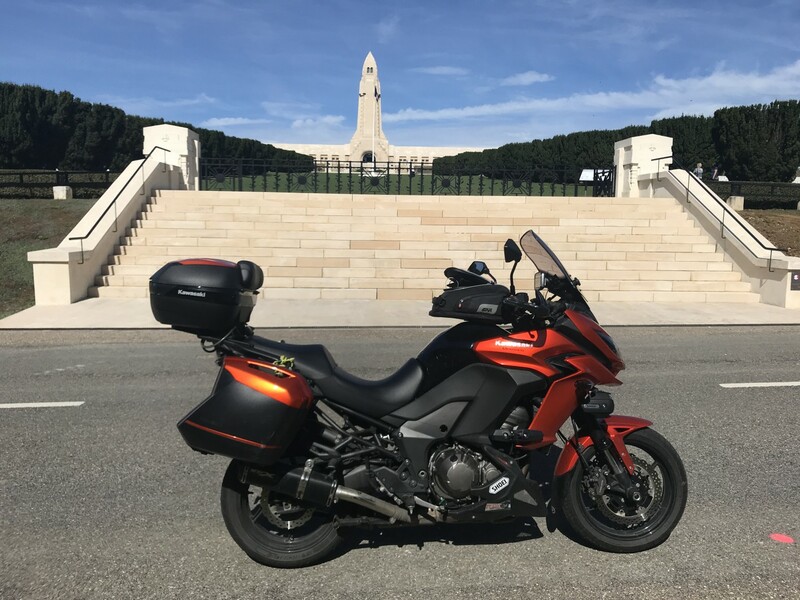 Friday - Set off for Verdun - had to use motorway. 6 hour journey the last 3 being in torrential rain. Arrived in Verdun in the rain so booked into a b&b. Saturday - weather forecast was great for next few days so found a campsite just outside of Verdun, 20 mins walk to the centre. Monday - left for Trier, Germany. Getting into Trier coming up to traffic lights that were on red, I heard an alright bang, and saw the front of the car in front of me disintegrate - fortunately I had enough distance between us, no brake lights came on so I assume he just wasn't looking - I didn't hang around. Found a campsite but sat nav took me along the Moselle cycle path!!! 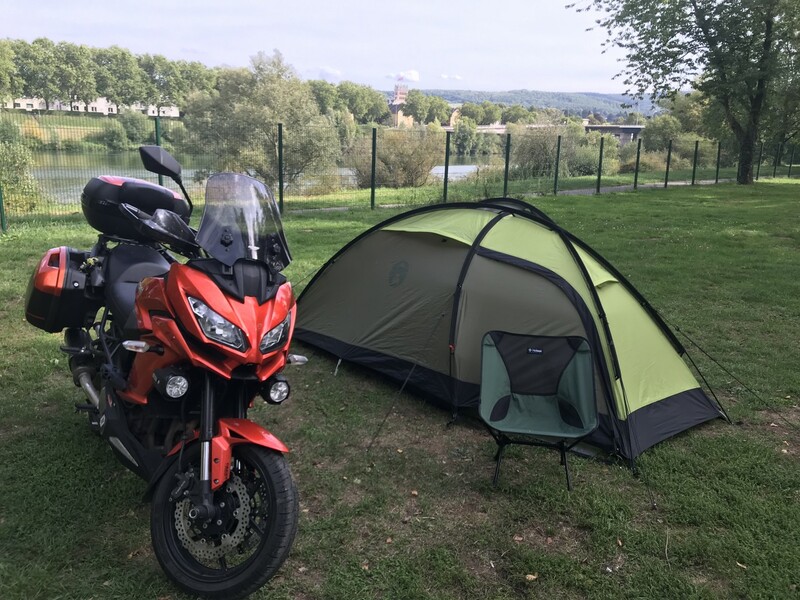 camping at the side of the Moselle . 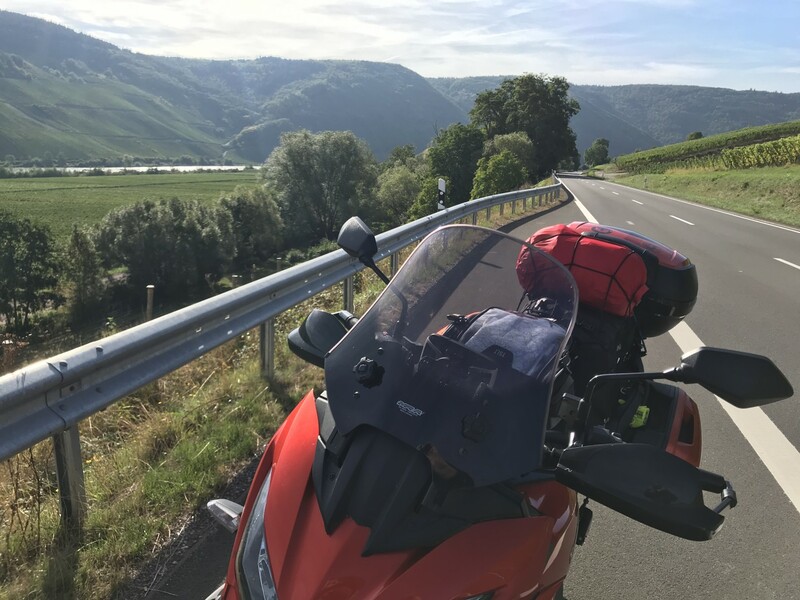 Tuesday - Travelled the length of the Moselle Valley and booked into a hotel just outside of Koblenz. Thanks for this Dave - good report and pics. 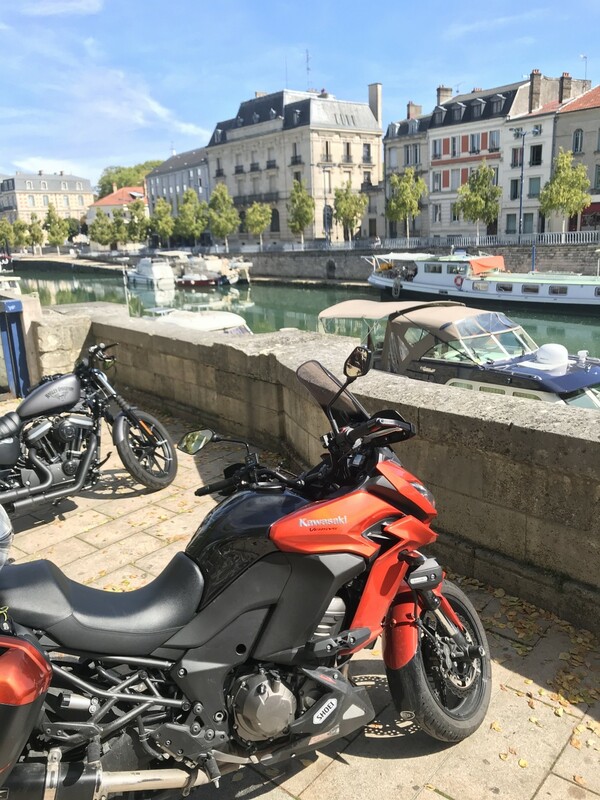 Really nice you were able to meet up with the scooter guy. Good report and, let me say, great Vespa. Your mate has been very lucky finding the lost spring. If that is an original 125 GT from the late '60, as it seems, spare parts can be a nightmare. It's the misadventures that make the adventures! enjoyed reading it and thanks for sharing. As much as I can enjoy gatering with friends for a few days riding, like you, I also apreciate taking ff, alone, for a long journey with my Orange. A very informative report on your trip.